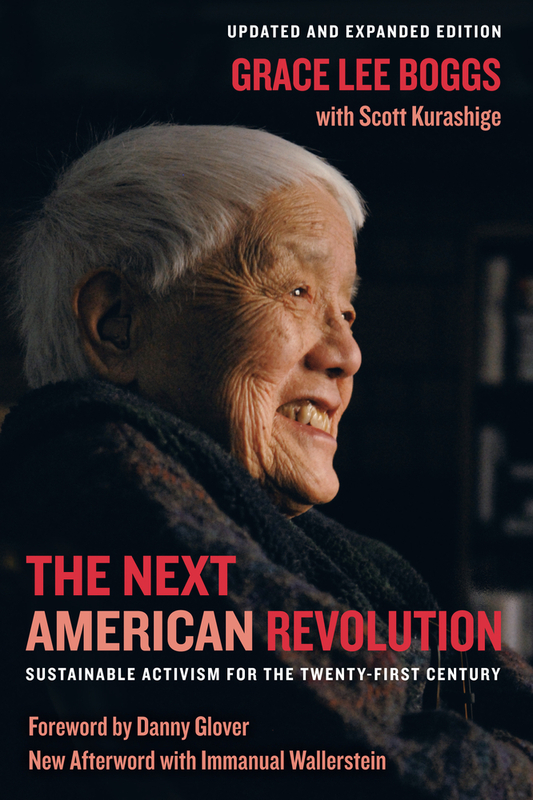 Grace Lee Boggs was a tireless activist for feminism, Black Power, civil rights, environmental justice, and workers’ rights. A recipient of many human rights and lifetime achievement awards, including a place in the National Women’s Hall of Fame, Boggs remained a crusader for social justice right up to her 100th year. In her 2012 book The Next American Revolution: Sustainable Activism for the Twenty-First Century, written with Scott Kurashige, Boggs drew from seven decades of activist experience to redefine “revolution” for our times. During the presidential election, co-author Kurashige edited together the following excerpts from the chapter “These Are the Times to Grow Our Souls” to share how Boggs continues to motivate us. This post originally appeared on the Grace Lee Boggs Facebook page, and we turn to this excerpt during Women’s National History Month as a reminder of the life and work of an extraordinary activist whose revolutionary legacy continues to inspire fundamental change today. These are the ti mes that try our souls. Each of us needs to undergo a tremendous philosophical and spiritual transformation. Despite the powers and principals that are bent on objectifying and commodifying us and all our human relationships, the interlocking crises of our time require that we exercise the power within us to make principled choices in our ongoing daily and political lives—choices that will eventually although not inevitably (since there are no guarantees) make a difference. The will of too many Americans has been to pursue private happiness and take as little responsibility as possible for governing our country. As a result, we have left the job of governing to our elected representatives, even though we know that they serve corporate interests and therefore make decisions that threaten our biosphere and widen the gulf between the rich and poor both in our country and throughout the world. In other words, even though it is readily apparent that our lifestyle choices and the decisions of our representatives are increasing social injustice and endangering our planet, too many of us have wanted to continue going our merry and not-so-merry ways, periodically voting politicians in and out of office but leaving the responsibility for policy decisions to them. Our will has been to act like consumers, not like responsible citizens. Historians may one day look back at the 2000 election, marked by the Supreme Court’s decision to award the presidency to George W. Bush, as a decisive turning point in the death of representative democracy in the United States. National Public Radio analyst Daniel Schorr called it “a junta.” Jack Lessenberry, columnist for the MetroTimes in Detroit, called it “a right-wing judicial coup.” Although more restrained, the language of dissenting justices Breyer, Ginsberg, Souter, and Stevens was equally clear. They said that there was no legal or moral justification for deciding the presidency in this way. That’s why Al Gore didn’t speak for me in his concession speech. You don’t just “strongly disagree” with a right-wing coup or a junta. You expose it as illegal, immoral, and illegitimate, and you start building a movement to challenge and change the system that created it. The crisis brought on by the fraud of 2000 and aggravated by the Bush administration’s constant and callous disregard for the Constitution exposed so many defects that we now have an unprecedented opportunity not only to improve voting procedures but to turn U.S. democracy into “government of the people, by the people, and for the people” instead of government of, by, and for corporate power. We may take some brief solace in the fact that George W. Bush’s terms in office, while wreaking national and global havoc, aroused heightened political awareness and opposition. Tens of thousands in Washington, DC, and other cities across the country denounced him through a counterinaugural. Then beginning in 2002, millions more took to the streets at home and abroad to denounce the war in Iraq. Meanwhile, the needless death and suffering that occurred in the aftermath of Hurricane Katrina exposed the true depths of corruption, incompetence, and arrogance within the administration. Still, it becomes clearer every day that organizing or joining massive protests and demanding new policies fail to sufficiently address the crisis we face. They may demonstrate that we are on the right side politically, but they are not transformative enough. They do not change the cultural images or the symbols that play such a pivotal role in molding us into who we are. 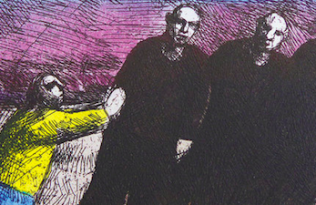 In 2001 a series of “Another World Is Possible” World Social Forums began in Porto Alegre, Brazil, to help movement activists around the world recognize that it is futile to keep calling on elected officials to create a more just, caring, and sustainable world. We ourselves must begin practicing in the social realm the capacity to care for each other, to share the food, skills, time, and ideas that up to now most of us have limited to our most cherished personal relationships. Normally it would take decades for a people to transform themselves from the hyperindividualist, hypermaterialist, damaged human beings that Americans in all walks of life are today, to the loving, caring people we need in the deepening crises. But these are not normal times. If we don’t speed up this transformation, the likelihood is that, armed with AK-47s, we will soon be at each other’s throats. That is why linking Love and Revolution is an idea whose time has come. We must open our hearts to new beacons of Hope. We must expand our minds to new modes of thought. We must equip our hands with new methods of organizing. And we must build on all of the humanity-stretching movements of the past half century: the Montgomery Bus Boycott; the civil rights movement; the Free Speech movement; the anti–Vietnam War movement; the Asian American, Native American, and Chicano movements; the women’s movement; the gay and lesbian movement; the disability rights/pride movement; and the ecological and environmental justice movements. We must find ourselves amid the fifty million people who as activists or as supporters have engaged in the many-sided struggles to create the new democratic and life-affirming values that are needed to civilize U.S. society. The transition to a better world is not guaranteed. We could destroy the planet, as those chanting “Drill, baby, drill!” seem determined to do. We could end up in barbarism unless we engage in and support positive struggles that create more human human beings and more democratic institutions. Our challenge, as we enter the third millennium, is to deepen the commonalities and the bonds between these tens of millions, while at the same time continuing to address the issues within our local communities by two-sided struggles that not only say “No” to the existing power structure but also empower our constituencies to embrace the power within each of us to create the world anew. 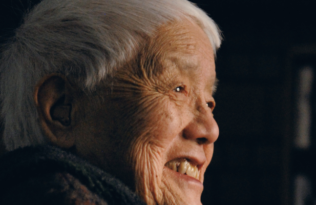 Grace Lee Boggs, the recipient of many human rights and lifetime achievement awards, was an activist, writer, and speaker. Boggs was the coauthor, with James Boggs, of Revolution and Evolution in the Twentieth Century and the author of Living for Change: An Autobiography. Scott Kurashige is Associate Professor at the University of Michigan and author of The Shifting Grounds of Race: Black and Japanese Americans in the Making of Multiethnic Los Angeles and the forthcoming book The Fifty-Year Rebellion: How the U.S. Political Crisis Began in Detroit.